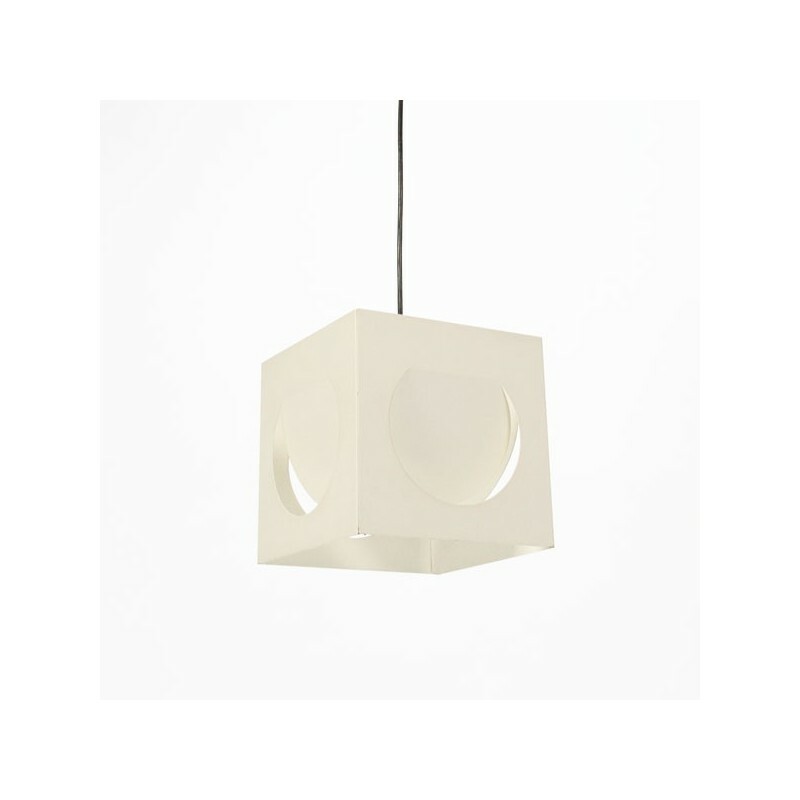 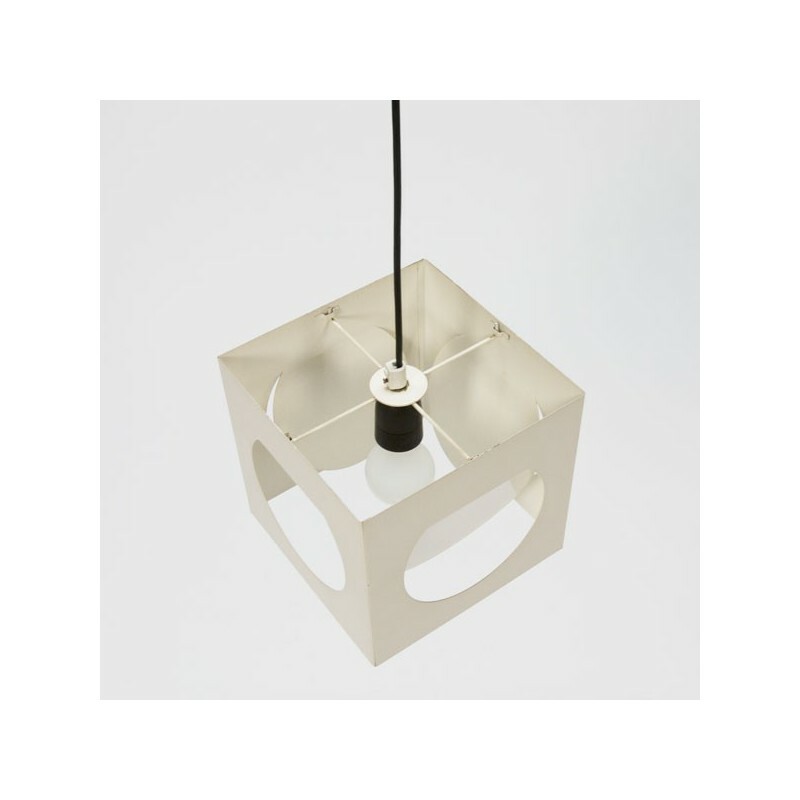 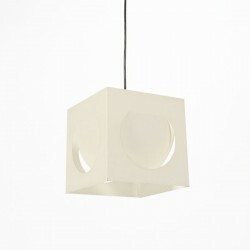 Cube-shaped vintage pendant designed in a modernist style, manufactured in metal. 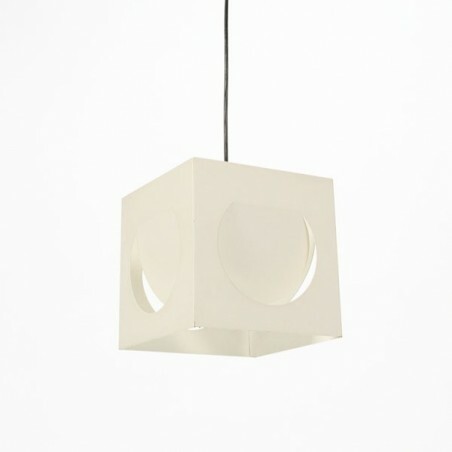 The lamp is in good condition considering the age, see the detail photos. 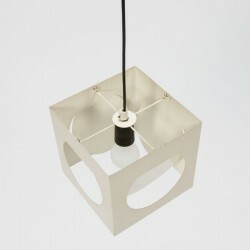 The size is 20 cm high, wide and deep.